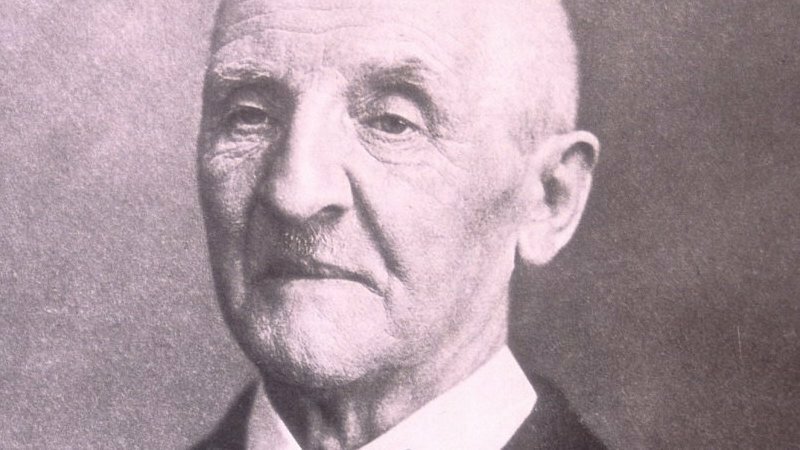 Feierlich, misterioso…This is the marking Anton Bruckner inscribed above the first movement of Symphony No. 9 in D minor. Indeed, from this opening movement’s first, quietly haunting sounds, we’re drawn immediately into a place of “solemn mystery.” Hushed, shivering tremolo emerges out of silence, followed by a multi octave-deep D in the winds. Quiet, persistent fanfares in the trumpet and timpani intone ghostly echoes of a distant battlefield. Perhaps Bruckner was the first and only nineteenth century symphonist to fully confront the monumental, transformative vision of Beethoven’s Ninth Symphony. In picking up the mantel of Beethoven’s symphonic pinnacle, Bruckner’s nine symphonies all seem to start in the same place. Each attempts to further refine a similar, ultimate path to transcendence. But listen to the opening of Bruckner’s Ninth and you’ll get a sense that this time the journey is tinged with something deeper, more ominous, and more darkly haunting. This final, unfinished symphony, which Bruckner dedicated “to the beloved God,” is filled with strange moments of dissonance and terror. As with late Beethoven, Schubert, and Mahler, this is music of revelation. This shadowy undercurrent runs throughout the first movement. Even in the second theme, which seems like a prayer of gratitude with its fleeting quote of the Seventh Symphony’s Adagio, there is a constant sense of pulling back- an alternation between affirmation and mystery, and a restless, apprehensive sense of wandering- all amid a drama of conversing voices. All of this remains unresolved in the final bars, when we experience Bruckner’s most terrifying coda. In these final, frightening moments, listen to all the distinct voices and the way they combine, from the timpani pedal, to the horn fanfares, to the trumpet and trombone proclamations, to the ever-intensifying string tremolo. This rumbling, raw, titanic energy and crunching dissonance finds resolution in expansive open fifths. Following the model of Beethoven’s Ninth, the second movement is the Scherzo. This is a structural change necessitated by the length and dramatic weight of the first movement and Adagio. “Scherzo” translates as “joke,” but the terrifying Scherzo Bruckner gives us is no joke. It’s the furthest you can get from the folksy Austrian Ländlers of earlier symphonies. Instead, we get a blazingly ferocious, demonic romp. The exhilarating trio section feels as if we’re taking a supernatural ride through the night. Bruckner called the Adagio a “farewell to life.” It opens with the equivalent of a minor second, the narrowest of all intervals. This interval is a prominent building block of the first movement, from this opening statement to the dissonance of the coda. But the minor second which opens the Adagio occurs over the expansive leap of an octave. The chromaticism which follows foreshadows the Adagio which closes Mahler’s Ninth Symphony. Throughout Bruckner’s symphonies, there are monumental musical “events” or “pillars” which capture our attention and remain in our ears long after. Near the beginning of the Adagio we hear one of these climactic moments of sheer expansive majesty. The music which follows alternates between majestic grandeur and struggle. In the movement’s ultimate climax, there is one final, ferocious eruption which breaks off with the jarring dissonance of a dominant thirteenth chord. This is a moment in which Bruckner seems inextricably linked with the sounds of Mahler, Shostakovich, and the twentieth century. By accident, the first and third movements of Bruckner’s Ninth appear as mighty pillars. The Finale remained incomplete at the time of Bruckner’s death in 1896. As a result, the Ninth Symphony is an unfinished farewell. Still, every time I listen to the serene final moments of the Adagio, I can’t help but feel that the symphony is strangely complete in its current form. There are eleven Bruckner symphonies, not nine—all very much worth hearing. Accepting the 3-movement torso of the Ninth as somehow “complete” totally contravenes Bruckner’s clearly stated desire and intent to create a complete, 4-movement work. He spent the last eighteen months of his life composing the Finale, and a significant portion of the score — about 20 minutes of music or an estimated 2/3 of the movement — survives in fully orchestrated manuscript and short-score. If one is to be true to the composer’s wishes, this significant fragment should be heard. 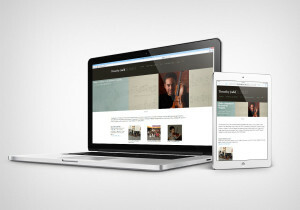 In my opinion the best way to do this is through either the Carragan (Gerd Schaller or Yoav Talmi recordings) or the SMPC (Simon Rattle or Kurt Eichhorn recordings) performing edition. I have heard both these ‘4th movement’ pieces, they are exciting but for me neither feel right. They belong elsewhere. Still, I will keep trying and listen to them again and again. I have no musical education like yourselves, I have only my ears, so I do respect your knowledge and opinions. Grant, whether someone likes or appreciates Bruckner’s music is 100% a matter of taste, and that’s OK. Saying the music Bruckner composed — explicitly — for the 4th movement of his Symphony 9 “…belong[s] elsewhere” does not make sense. It belongs exactly where Bruckner intended. And folks are absolutely free to think the 3-movement torso sounds “complete” to them, but that is personal *taste* and not the composer’s intent. I take it you prefer these over the William Carragan version? I like the Rattle and I’m impressed with the Naxos, the little I have heard. In fact I am tempted to buy it. Thanks for your input. To get a balanced impression of the different approaches to the performing versions of the Finale, I suggest you also hear the Profil CDs of both of Gerd Schaller’s performances with the Philharmonie Ebrach, his excellent, hand-picked festival orchestra. 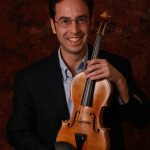 His 2010 recording features William Carragan’s completion and the 2016 recording features Schaller’s own version. I prefer both of these to the later SMPC versions, such as that recorded by Rattle. The 1992 SMPC score of the Finale, as recorded by Kurt Eichhorn on a magnificent Camerata CD, is superior to the later revisions — IMO, of course.